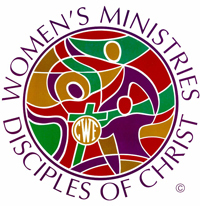 The Christian Women's Fellowship (CWF) is an active part of MCC. Women meet in small groups, called Ruth (Ruth 1:4), Sarah (Genesis 17:15), and Rebecca (Genesis 24:15), to share together, worship together, and do mission work together. These caring fellowship groups are open to all women. Each month, the CWF participates in a service project. These range from collecting school supplies for kids in need, gathering clothing donations for the homeless, acquiring hats and gloves or purchasing food or personal care items for various local and national organizations. CWF actively supports groups like the Together Center of Kansas City, the Johnson County Christmas Bureau, Church Women United, Micah Ministries and many others. The Sarah group meets on the third Monday of the month at 7:00PM at the church. The Ruth group meets at 12:30PM on the third Tuesday of the month at the church. The Rebecca group meets on the third Wednesday of the month at 9:30AM at the church.